The San Ramon Valley Teachers Association met Thursday night to decide whether or not to approve a strike if they don’t reach an agreement with the Unified School District. Bob Redell reports. The San Ramon Valley teachers union voted Friday night to approve a strike as it continues to negotiate a contract agreement with the Unified School District. Ninety-eight percent of the 1,695 union members said yes to a strike as teachers fight for manageable class sizes, more nurses, librarians, counselors and better pay to accommodate the cost of living in the East Bay, among other things, the union said. 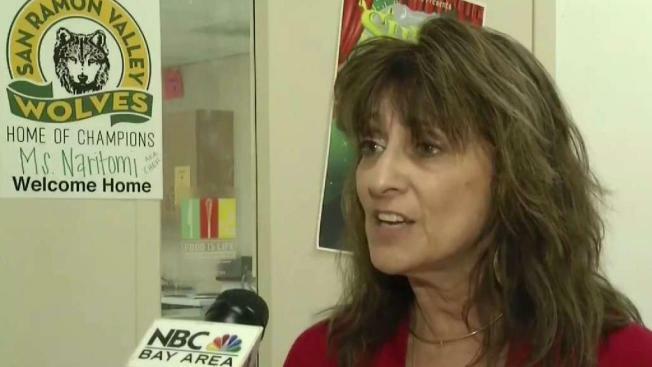 "What that means is when we go to ‘fact finding’ — should it not go well — we have been authorized by our executive board to initiate a strike should we need it," San Ramon Valley Education Association president Ann Katzburg said in a statement. The district has offered a 3 percent pay raise in 2019, according to the teachers union. The San Ramon Valley Teachers Association met Thursday night to decide whether or not to approve a strike if they don’t reach an agreement with the Unified School District. The San Ramon Valley Unified School District spokesperson said the district had two "positive" meetings with the union last week. "We remain committed to the negotiation process and hopeful that we can find common ground and avoid the disruption a strike would have on the educational environment," district spokesperson Elizabeth Graswich said. Meanwhile, the Oakland Teachers Union will vote on Sunday to end their strike after they reached a tentative deal with the school district.